Description: Just in case you guys aren't aware, 2K Sports already revealed the list of songs that will be featured in NBA 2K14. 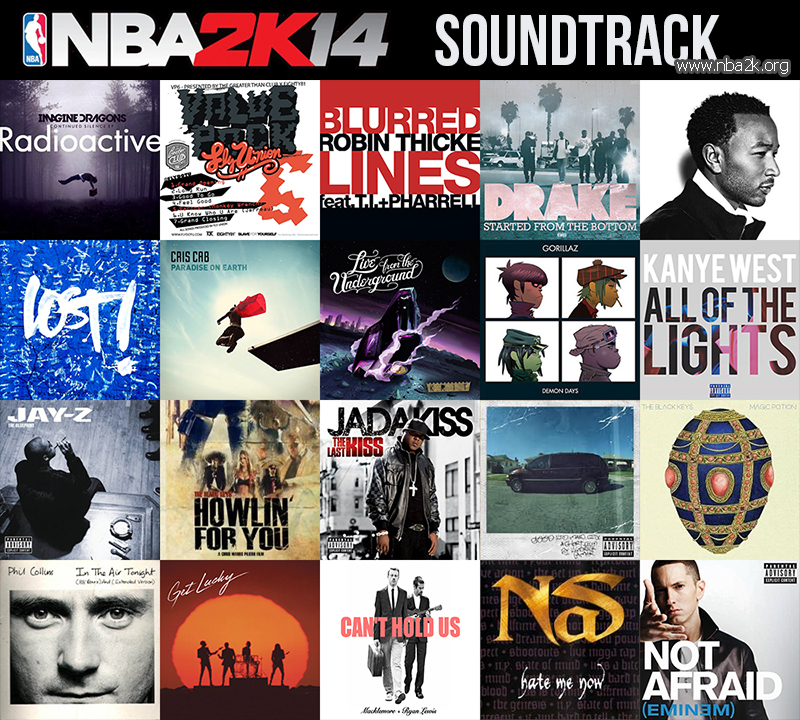 This NBA 2K13 sound mod adds the 20 songs from NBA 2K14's soundtrack. I also added 4 bonus songs to utilize all 24 music slots. Note: Clicking the title of the song will take you directly to the YouTube music video, so you can listen to it first. 8. Cool 2 Be Southern by Big K.R.I.T. Installation: Extract the file into NBA 2K13 game directory & overwrite the original.